We love hearing all the success stories from our clients. It's why we do what we do, after all! Check out some of favorites or submit your own. HAVE you Experienced Incredible results Practicing At Pilates proworks? Will you be emailing photo(s)? THANK YOU to all the teachers that really have helped me in so many ways and through some major changes in my life! Your mind quits 5 times before your body gives out, so if you want to build the mental stamina to increase your physical performance, come to Pilates Pro Works. I started in 2014 with a New Year's Resolution to build strength and balance - 13 months later I am stronger and healthier thanks to PPW. The compassionate staff, clean studios, and customized machines make every workout a healthy experience for mind and body. A year ago my husband gave me a free week certificate to try out the new Pilates ProWorks in Chicago. Having done Pilates for the previous eight years I thought this would be a continuation of my prior Mat and Reformer workout. Little did I know this equipment would whip me into shape, increase my metabolism, strength and endurance while pumping endorphins to push me for having the best day! I enjoyed it so much my husband decided to join as well. He had no prior experience in Pilates. I was nervous for him and didn't think he would have the stamina or strength to pull it off. He proved me wrong eventually! John was then in between career changes so we both started taking classes 4 to 5 times a week. It was the best thing as a mental and physical challenge for both of us during that time. A contest started early summer 2014 extending for several months to lose the most inches head to toe overall of participants from all classes. I tried my best; while I thought I saw some change the fabulous instructors kept telling me they saw positive change after change. Checking in weekly I thought I placed maybe within five people never expecting I would take top honor! So shocked and so thrilled over the overall result I pushed even harder! Pilates Proworks has given me my body back! 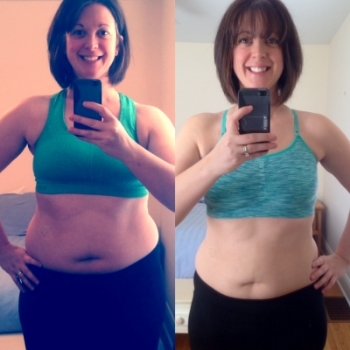 After I had my second baby in 15 months, I was almost 40 pounds over my original weight. Both pregnancies were rough and I didn't get to work out a single day during them. Six weeks after my second was born, I started up at the Mill Valley studio, determined to bounce back. Instructors were patient, knowledgeable and encouraging. Every single workout was unique and engaging. And I got to mix it up even further between Pilates, Barre and TRX. The studio became a place of zen for me during maternity leave, and a retreat offering stress relief upon my return to work. And a wonderful side effect has been weight loss: 9 months after my second baby, the scale is almost back to where it was before kids came into the picture. Even though life is crazier than ever these days, I look forward to fitting Pilates Proworks classes in wherever possible to help me meet my fitness goals and to provide some much needed "me time"! I joined PPW after loving my first free week! The instructors are fantastic and the environment is welcoming. I have lost 17 inches and about 13 lbs since I started. While I am eating healthy, PPW is responsible for my increased strength, flexibility and trimmer waist. I go 3 times a week, my favorite class is the 30/30 - Barre/Pilates. I know that I will continue consistent classes while I work towards my health goals. These photos were taken only 2 months apart and I'm well on my way! My name is Tony, I am a 48 year old husband and a father of two boys. I have been an athlete my entire life, playing two different sports at a very high level – baseball and boxing. I can not remember a time in my life that I was not training or preparing to compete. Hace 3 años voy a Pilates ProWorks, entré solo por curiosidad y además me invitó una amiga con el argumento de: “esto es lo que hacen las modelos de victoria secret´s, es bueno para tonificar el cuerpo”. Inmediatamente pensé que todo esto era genial y que aparte me podía ayudar con el constante dolor de espalda que siempre he tenido. Al principio no entendía nada, la coordinación era nula y el miedo de caerme de la máquina de Pilates era constante, pero cada día había algo que me hacía volver, simplemente me encantaba este método extraño para mí y del que tanta gente hablaba ¡lo mejor es que los cambios se empezaron a ver rápidamente en tan solo 15 días! Era como si mi cuerpo por arte de magia estuviera poniendo todo en el sitio en el que debería estar y lo que sobraba simplemente estaba desapareciendo, mis piernas se veían más largas y tonificadas y mi abdomen definitivamente era como para usar bikini las 24 horas del día. Lo mejor es que mi dolor de espalda DESAPARECIÓ y simplemente aprendí a realizar los ejercicios de manera correcta gracias a la supervisión de todos los profesionales que trabajan aquí. Sobra decir que para mi trabajo fue todo un hit ya que antes solo hacia desfiles de alta costura y ahora hago más en ropa interior o vestido de Baño lo cual me hace una modelo polifacética. En pocas palabras Pilates ProWorks cambio mi vida. "Pilates ProWorks continues to make an appreciable difference in my quality of life. I am a big proponent of Pilates. This form of exercise is easy on my joints & gets results! I joined in November 2014 and I have noticed my fitness level has dramatically improved, in fact I lost twelve pounds. The cross-training between Pilates & Barre has been a great combination. … The staff is very friendly and offer kind words of encouragement. I look forward to each session!" "I have always been active - gyms, yoga, home workouts - but I never found anything that really got me excited. I enjoyed doing mat Pilates but I never really saw changes in my body. … went to my first class in November of 2012 and have never looked back!!! PPW is now part of my schedule - I aim to go to class at least 5 times per week - I LOVE this workout. My body has really changed - I lost 15 inches! I am longer, leaner and simply look and feel great!! This workout is great for ALL ages, male and female. Like everything in life - you get out of it what you put into it. PPW workout is no different, this is a lifestyle change but once you start you will not want to stop!!! It is addicting!! The studio and instructors are amazing… you will be hooked!! !